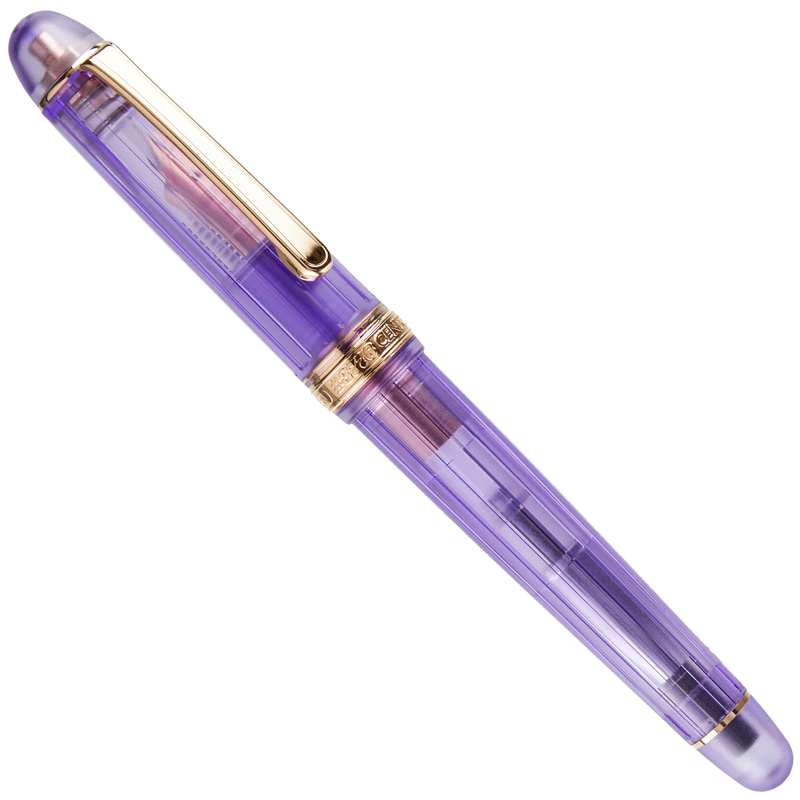 The latest in Platinum's series of stylish demonstrator pens inspired by the beauty of the Mediterranean coast, the Nice Lavande combines a semi-transparent purple body with rich warm rose gold trim to create a pen that embodies luxury, taste, and beauty. The first three thousand pens released include a special blotter card with a limited edition serial number. 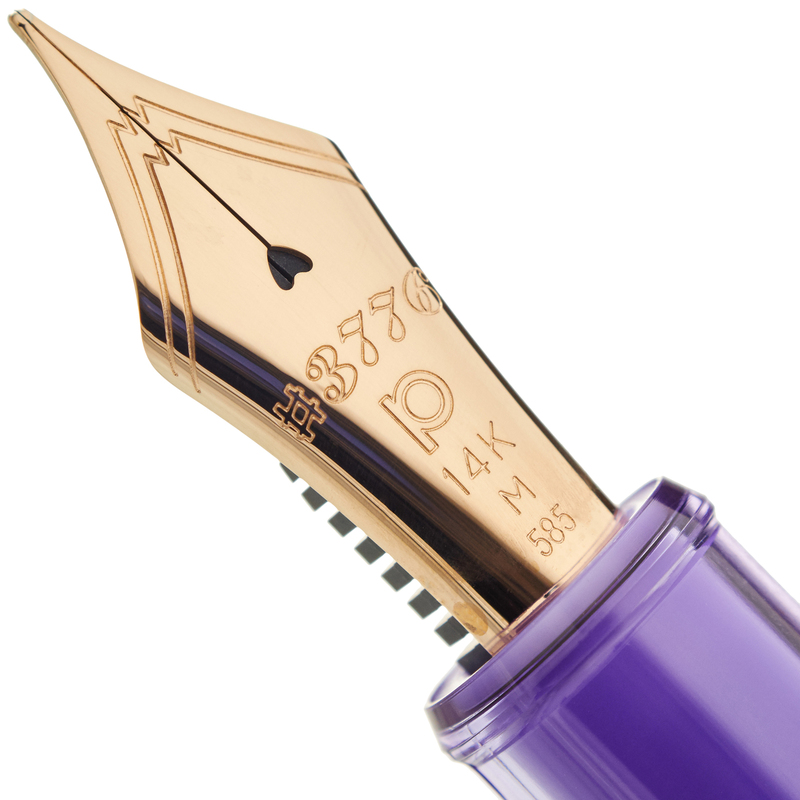 Our complimentary nib tuning ensures that your Nice Lavande will have writing qualities equal to its elegant appearance, and our optional nib customizations can additional style and distinctiveness to your writing on the page. 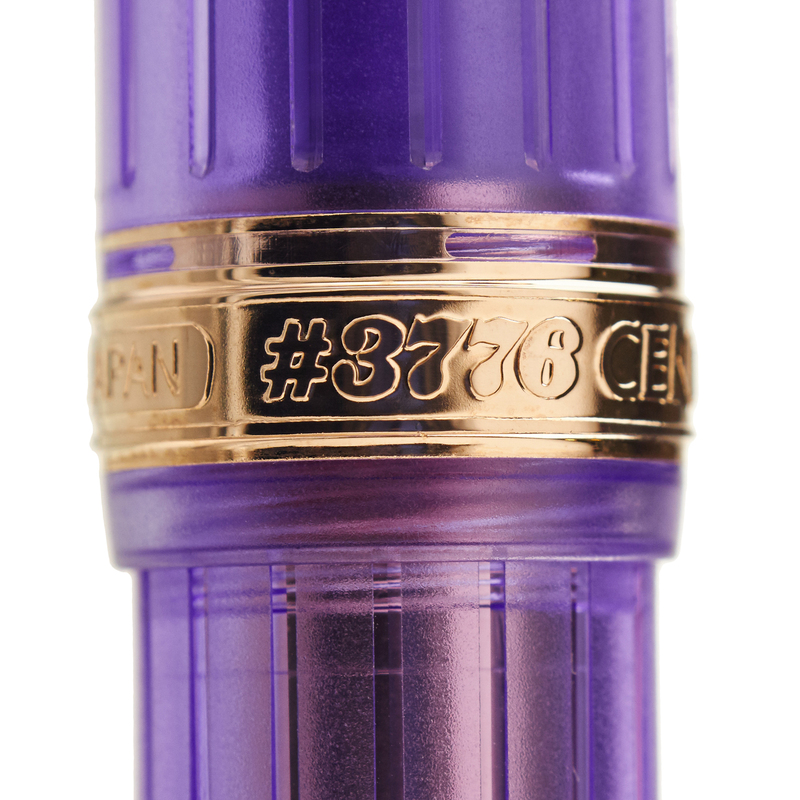 Inspired by the beauty of the Cote D'Azur on the French Mediterranean coast, the Platinum 3776 Century Nice Lavande is a luxurious pen at a surprisingly affordable price. The blooming fields of lavender that surround the city of Nice provide a particular inspiration for the appearance of this pen, which features hand cut facets and a sandblasted surface. Each pen arrives in a special presentation box which includes a starter ink cartridge, complimentary rhodium-trim converter, and all papers. We are an authorized Platinum dealer, and we carefully inspect and test each pen before it ships to make sure that you have the best writing experience possible.